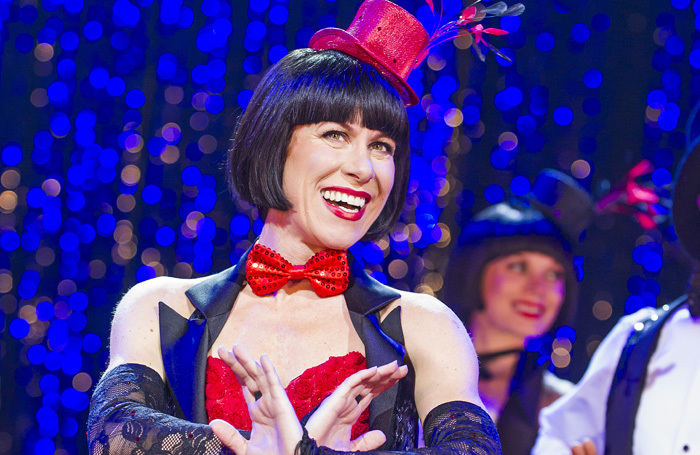 The Stage Where are the great female supporting roles in musical theatre? Richard Jordan: Where are the great supporting roles for women in musical theatre? Supporting actors are frequently overlooked, but they are the glue that binds a successful musical. The roles may not be the biggest, but they are sometimes the most interesting – and allow for a subtler texture of performance that can drive the storytelling. But despite the range of meaty male supporting roles across the spectrum of ages, I am struck by the lack of serious female equivalents for older actresses. Those that do exist tend to be ‘character’ roles – normally stereotyped battleaxes or embittered spinsters. So while a man can enjoy a solid career as a supporting musical theatre actor, playing a diverse range of roles, the same is not on offer to women, who find the range of serious parts on offer as they get older diminishes. Recently I have been blown away by two terrific male musical supporting performances; the first was Cavin Cornwall’s portrayal of Caiaphas in Regent’s Park Open Air Theatre’s production of Jesus Christ Superstar. The second was Nick Holder’s performance as Mr Peachum in The Threepenny Opera at the National Theatre. Neither musical contains much in the way of older female supporting roles. In some cases the lack of serious older female supporting roles can be blamed on the source material – if, for instance, the musical is based on a classic literary work. Yet musical adaptations are granted enough licence to subvert their originals. Look at the Thenardiers in Les Miserables: hideous and violent in Victor Hugo’s novel, but given colour and comedy for the stage. As things stand, if you are a young supporting actress, there are few places to go when you grow too old to play Eponine in Les Miserables, Meg Giry in The Phantom of the Opera, Carrie Pipperidge in Carousel or Betty Schaefer in Sunset Boulevard. You either step up to the lead parts – the Fantines, the Reno Sweeneys – or watch as the opportunities dwindle. The blame for this pattern rests firmly with the book writer and composer. There are exceptions. I consider Maury Yeston to be the finest composer for creating well-written, strong and serious supporting roles for older women. Similarly original musical scores by Marvin Hamlisch (A Chorus Line), Kander and Ebb (Cabaret), Jerry Herman (La Cage Aux Folles, Mack and Mabel), Willy Russell (Blood Brothers) and Stephen Sondheim (Follies, Company) all feature strong and serious older female supporting roles. None of this is to disparage the excellent work of our terrific supporting musical theatre actresses, such as Gay Soper and Sophie-Louise Dann. But in musical theatre’s future I hope a new generation of composers will break with unhelpful traditions and stereotypes to find greater balance of gender and age.